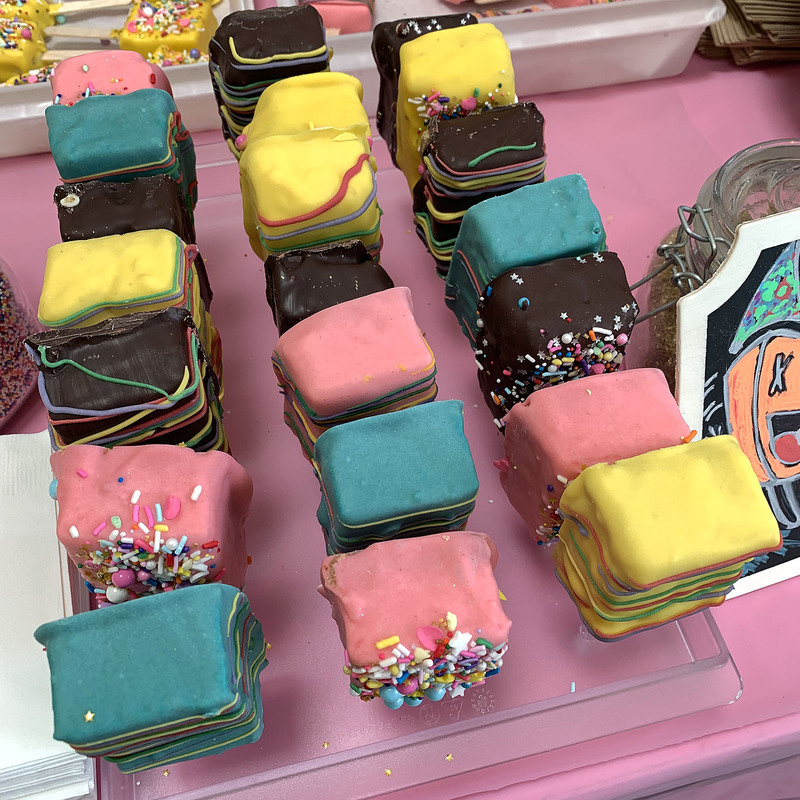 Answering the question no one asked: Can a dessert festival get any cuter than this? 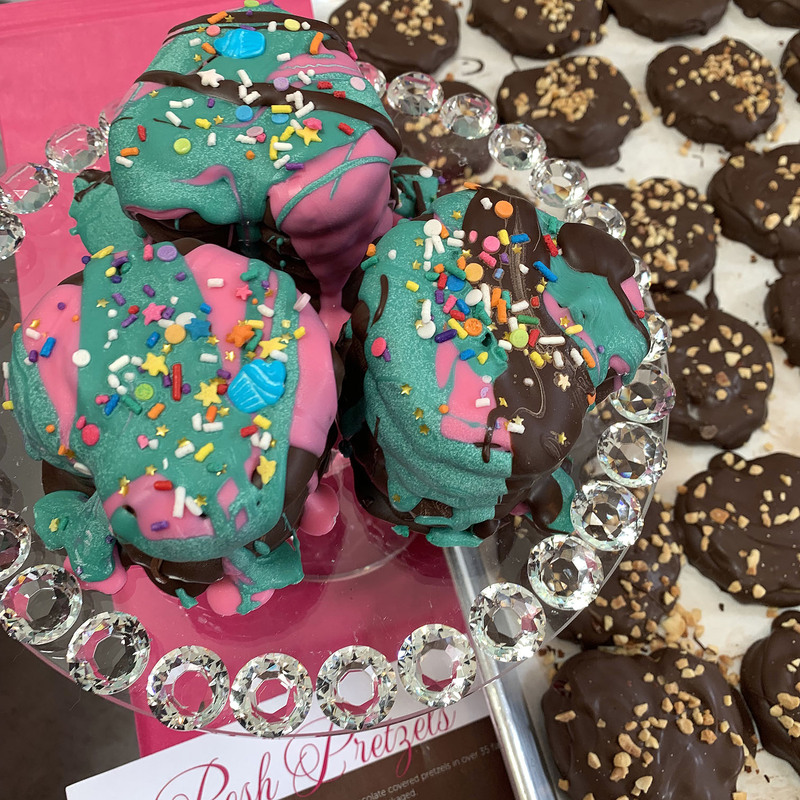 If somebody were to ask me to design a dessert festival perfect for Instagram influencers – and the followers they influence – I would look to Dessert Goals for inspiration. Everything about this show screams INSTA ME! There were Insta-obelisks assembled for the sole purpose of providing colorful textured backgrounds – and these were all well-used. Don't get me wrong, I am somewhat in awe of what the organizers have managed to pull off here. It’s thematically brilliant and very well executed, right down to the little detail of the press being handed candy bracelets to identify themselves. But a show like this can’t be a long-term success as a gimmick, it has to attract exhibitors producing high-quality products. And while I want to say I tried everything it was simply not possible. But everything I did try was well made and tasty. I am not a fan of cake pops, but I can see how many kids (and adults) would be drawn to these. 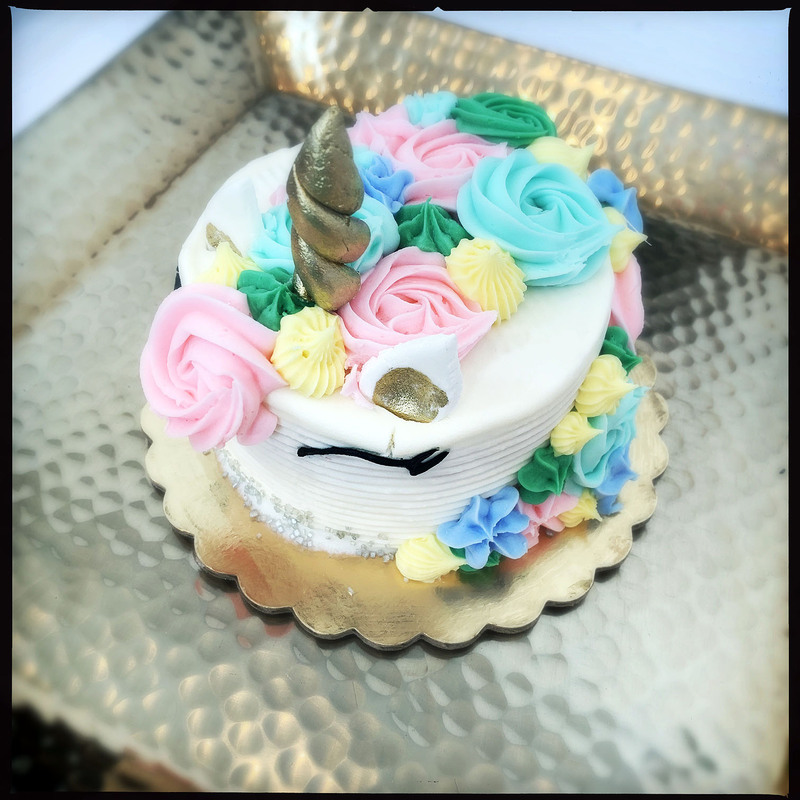 Who would not go "ooohh, ahhh" to a colorful cake with a golden unicorn horn? 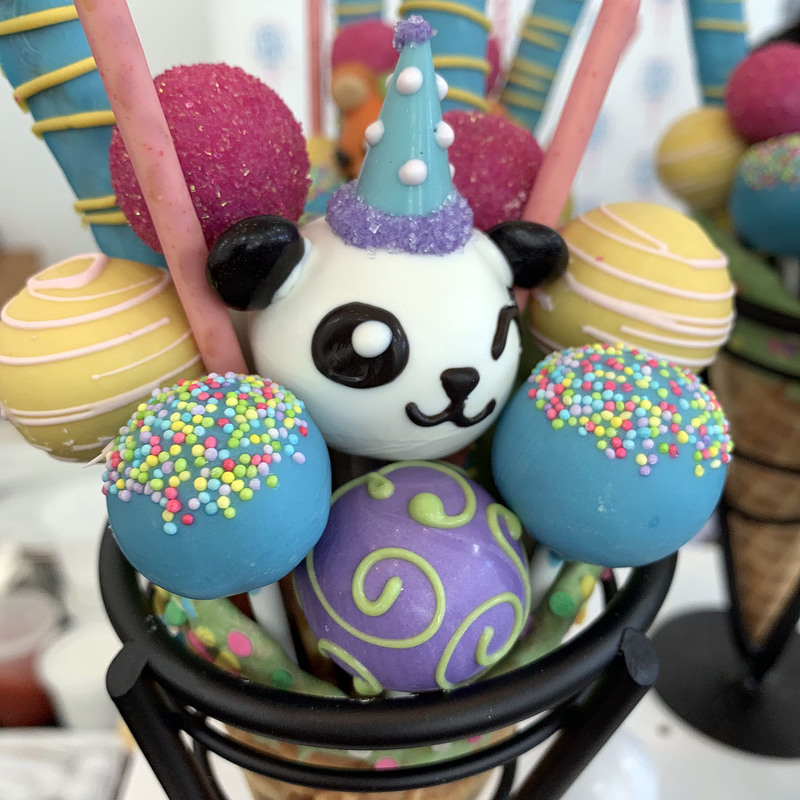 A colorful alternative to your standard cake pop. 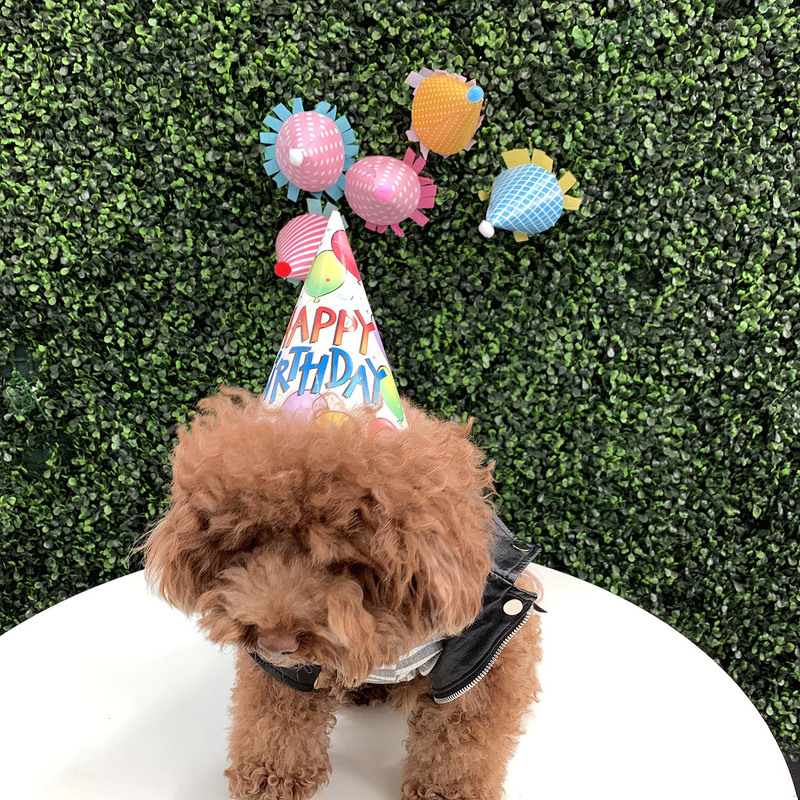 This was the theme of the show and this dog is literally celebrating its oh-so-instagrammable birthday. There were many Insta-celebrity dogs on display. My stand out favorite taste of the visit was the sea salt and chocolate halvah from Seed + Mill. Not only was there sea salt in the halvah but the samples were sprinkled with a large-flake (Maldon) salt. This added to the texture in a pleasant way and the salty pop toned down the sweetness in a good way. The over-the-top offering (not pictured) was from Matcha n' More. This consistent of matcha soft serve in a matcha waffle cone to which an entire sheet of edible gold was applied. Of course, the gold does not affect the taste but it does increase the price and you can get bragging rights for trying it. I did try the soft serve itself and found it to taste like green tea with a slight bitterness and astringency on the finish. There were at least a dozen and maybe more than twenty dogs during the one-hour press preview. Many of them appeared to be Insta-celebrities in their own right, and each of them was mind-numbingly cute. (And very well behaved.) Part of me would not disbelieve there were more Instas posted of dogs than desserts. Get over it! Not just a visual treat. Making Willie Wonka Proud! But no dessert typhoons or tsunamis. 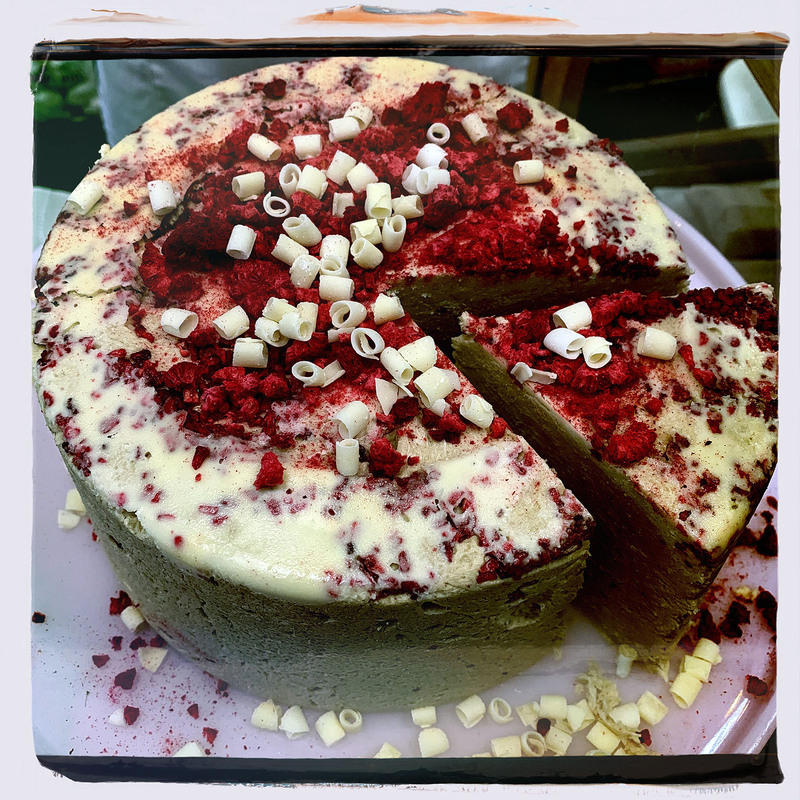 Positively definitely not your grandma’s halvah. In all the best ways. Too Colorful to Eat? By Baked in Color. Pretzel Stack by Posh Pretzels. Halvah cake from Seed + Mill. Whatever you might think of Ruby “chocolate” – a product that was designed with these kinds of applications in mind, one of its attributes is that it’s not brown. That same kind of thinking led to the development of multi-colored chocolate chip cookies from (pictured), which in its description in the show guide refers to itself as “the most Instagrammable chocolate chip cookies and brownies of all time.” I tried the brownie-bottom chocolate-chip top “cupcakes” and found them to be a delightful combination of the two – visually, texturally, and with respect to their taste.ish. Whatever you might think of Ruby “chocolate” – a product that was designed with these kinds of applications in mind, one of its attributes is that it’s not brown. 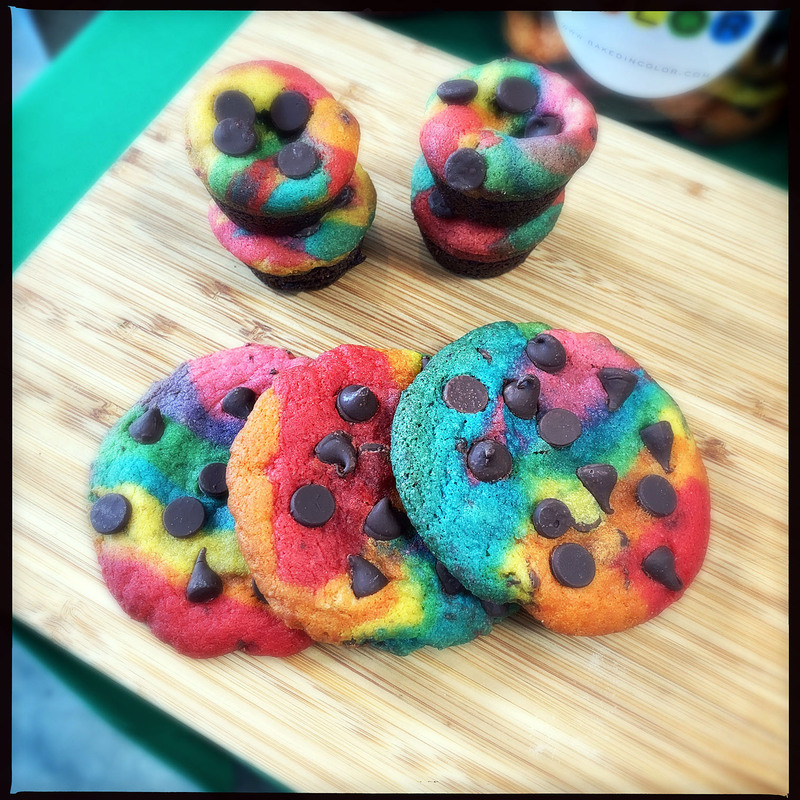 That same kind of thinking led to the development of multi-colored chocolate chip cookies from Baked In Color (pictured), which in its description in the show guide refers to itself as “the most Instagrammable chocolate chip cookies and brownies of all time.” I tried the brownie-bottom chocolate-chip top “cupcakes” and found them to be a delightful combination of the two – visually, texturally, and with respect to their taste. When I see chocolate-covered pretzels I tend to groan because they are often cliché in their presentation. Posh Pretzels surprised me some of their interpretations, one of which was covered in toasted coconut shreds and another filled with PB&J. Not just chocolate and salty carbs, but the texture of creamy peanut butter and the sweetness of grape jelly. Reimagining Vietnamese sweets was Kochin. 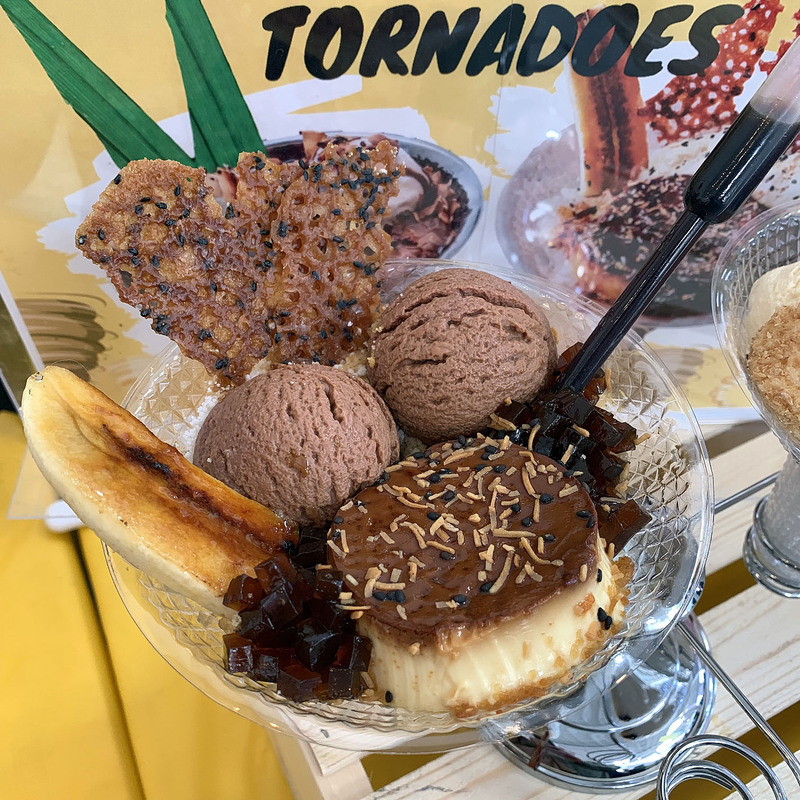 In addition to the colorful dessert tornadoes were many more traditional offerings.